Of course, I had to use that cute cloud print paper when the sketch actually used a cloud print paper! 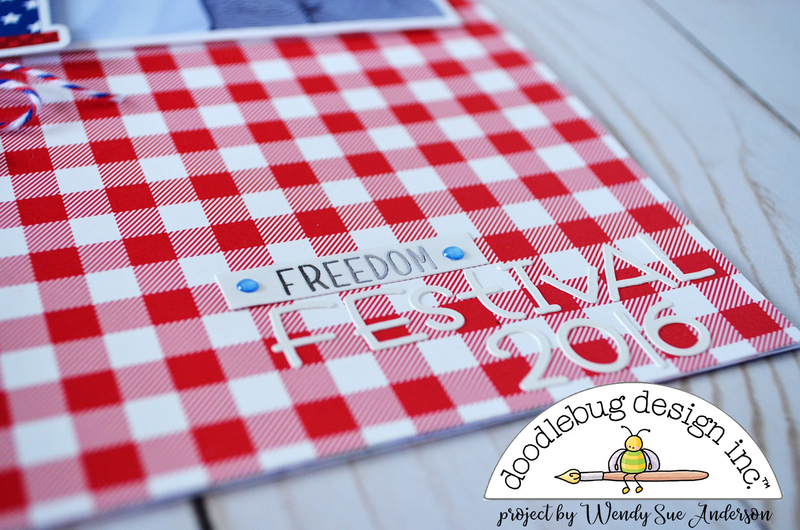 And isn't the red gingham paper so super festive and summery and just plain happy? I made good use of the odds & ends in this collection, and used some of the acetate pieces throughout my layout. 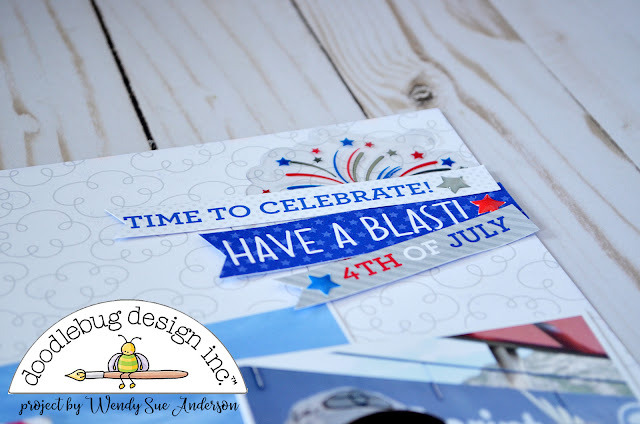 The metallic silver accents are absolutely perfect with the 4th of July theme and you can find silver metallic finishes on many of the embellishments! 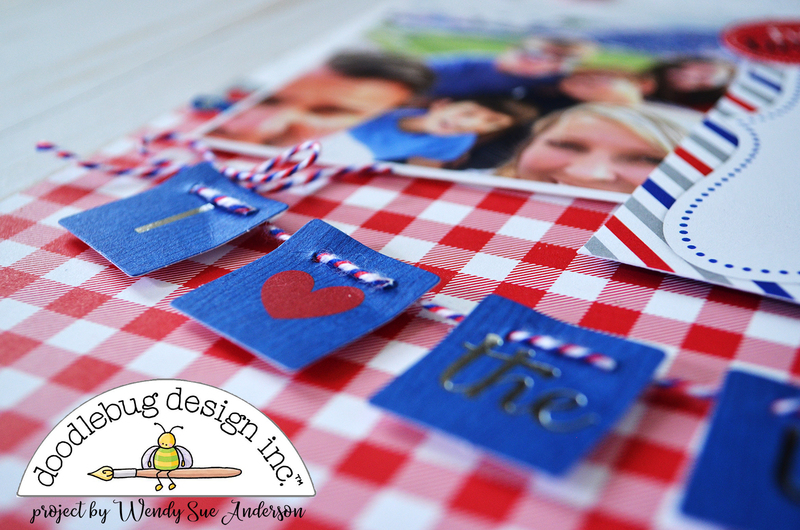 I used a big needle and some red, white, and blue doodle twine to stitch this little banner together, and I love how it completes my layout. 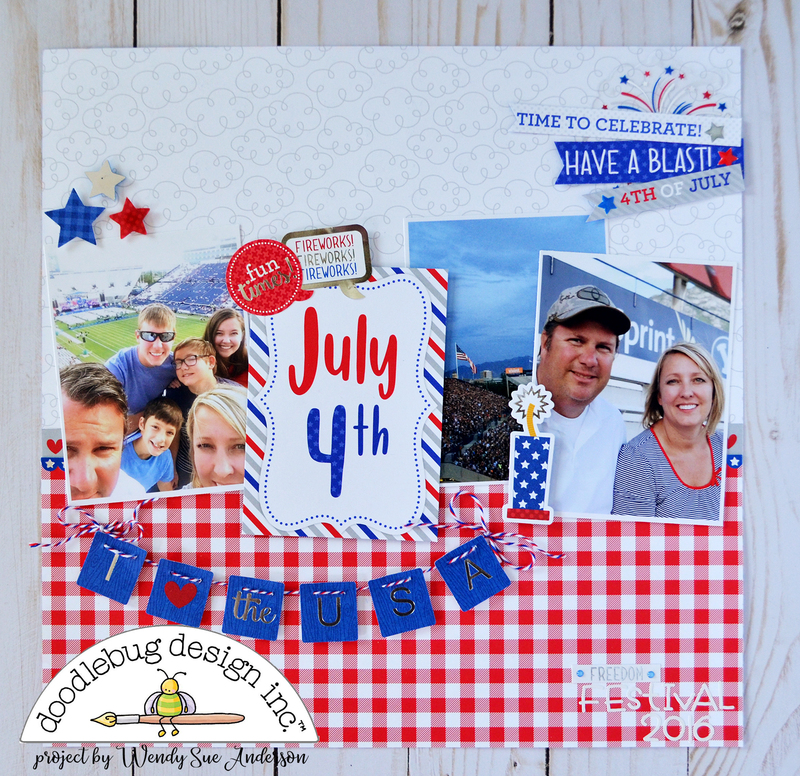 Now I want to challenge YOU to create a 4th of July layout with the Yankee Doodle collection! 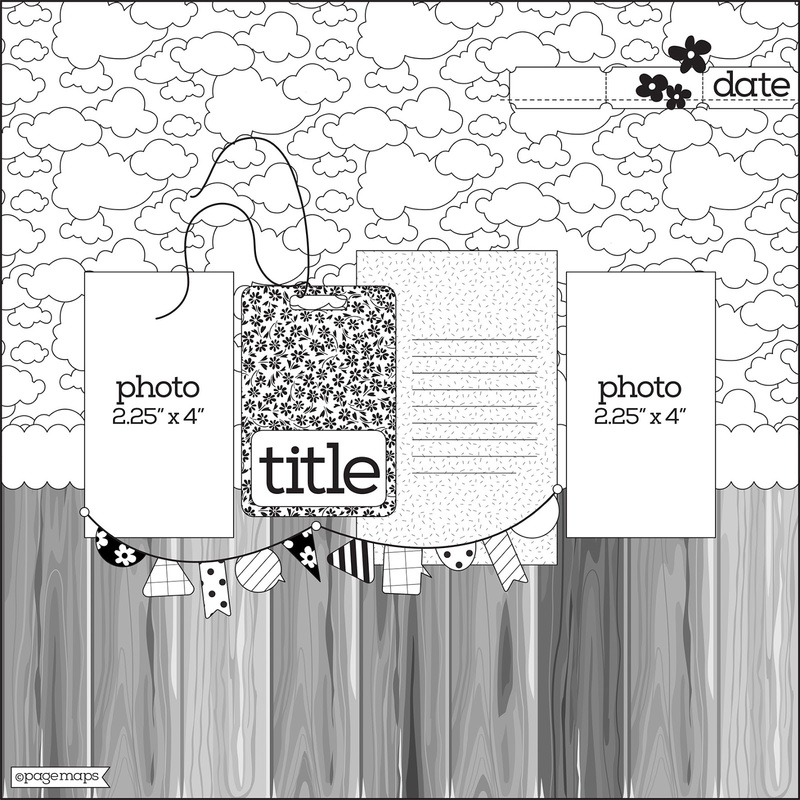 Try out one of the sketches too - your layout will come together so quickly and easily, I'm sure of it! Fabulous layout! Love the layers!